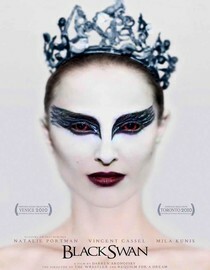 Nina (Natalie Portman), a classic ballet dancer, has been chosen as the Queen Swan, that is, to interpret both the White and Black Swans in the new production of Swan Lake. Nina is perfect in the role of the White Swan: she is fragile, shy, obsessed with getting all moves perfect, in short, a good girl…But, does she have what it takes to be a Black Swan? The interpretation of the Black Swan requires a display of raw emotions that are strange to Nina, but the rivalry with a fellow ballerina named Lilly (Mila Kunis), makes her explore the darkest recesses of her mind. This is a WOW kind of movie. There was a strange atmosphere at the theater when this movie ended; typically the film ends and everyone runs out to the hall, but after this movie everyone stayed on their seats, not talking, just there. This movie is devastating in more ways than one; the ending is definitive, but is also the way Nina’s psyche spirals downwards. Music, pace, everything conspires in this film to play tricks on your mind. One is at risk to lose oneself in all the evil machinations of the Black Swan, just as it happens to Nina. The movie is for a mature audience, and has to be seen with an open mind. It is going to be hard to beat Natalie Portman as Best Actress for this role. She simply has stepped up to another acting level.